Here at Glasgow Computer Recycling we like to think we are always approachable and we are more than happy to offer advice on the best solutions to your disposal requirements. 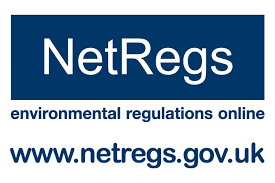 Sometimes however it’s good to get the official line on something and that’s where the Netregs website comes in. This website is packed full of useful information on all aspects of waste and gives guidance for businesses in all industries. Be sure to check it out and see how it can help increase knowledge of waste disposal requirements, and feel free to contact us any time to see how we can offer a solution to help with your obligations.